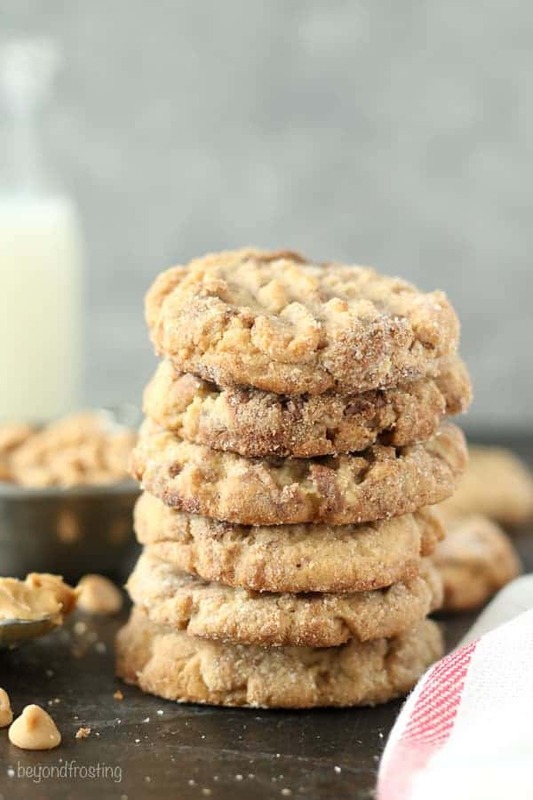 These Peanut Butter Nutella Swirl Cookies are as dreamy as they look! 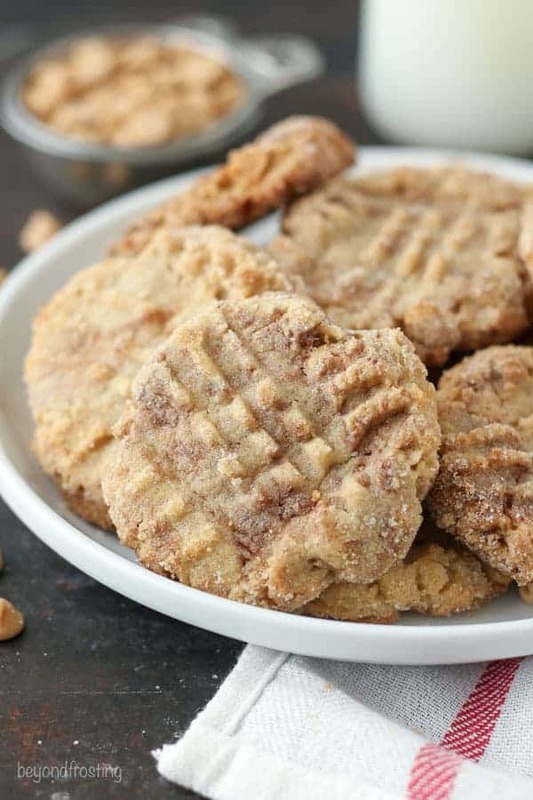 A soft-baked peanut butter cookie swirled with Nutella and rolled in sugar. Helloooooo, October. I am ready and waiting for you with open arms. The evenings are cold and the days are still mild, and it’s my favorite time of year. I enjoy turning on the fireplace at night, sleeping under the cozy covers and watching the leaves slowly change colors. 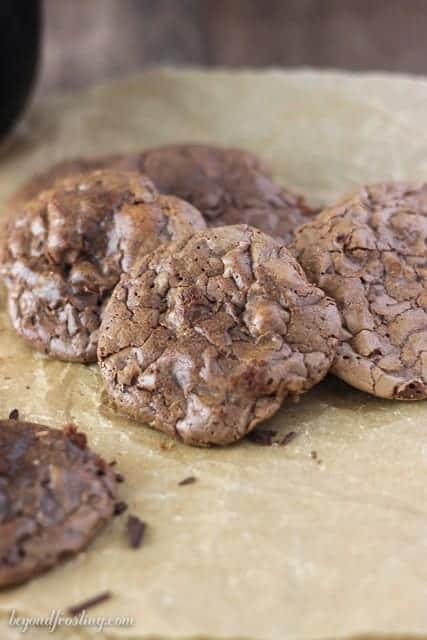 I also find that I love to bake even more during this time of year, maybe it’s the cold weather, but I swear all weekend I kept asking my fiancé, “don’t you think I should make cookies?” We’re both doing our best to eat healthier and that means it’s extra hard to avoid making cookies. Especially if those cookies happen to be Peanut Butter Nutella Swirl Cookies. These magnificent cookies also happen to be from Sally’s new book, Sally’s Cookie Addiction and they are pure gold. 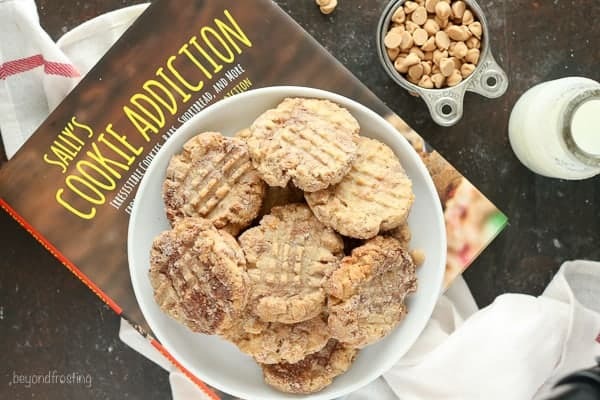 A cookbook dedicated entirely to cookies? Sign me up. Sally’s book will be my go-to book when I am looking to make some cookies to impress my friends. I asked my fiancé to pick the recipe I should make. Some of the other contenders were the chocolate sugar cookies, birthday party thumbprint cookies and the mint chocolate slice and bake cookies (okay that one was my pick, but YUM!). We both agreed on the Peanut Butter Nutella Swirl Cookies. This book is PACKED with tips for baking cookies including make ahead and freezing tips. My favorite chapters are: The Sprinkle Chapter (duh! ), Family Favorites and All About Oats. Eeeer, and maybe the Serious Chocolate Cravings chapter. You’ll find recipes from everyday tried and true favorites to festive holiday cookies. 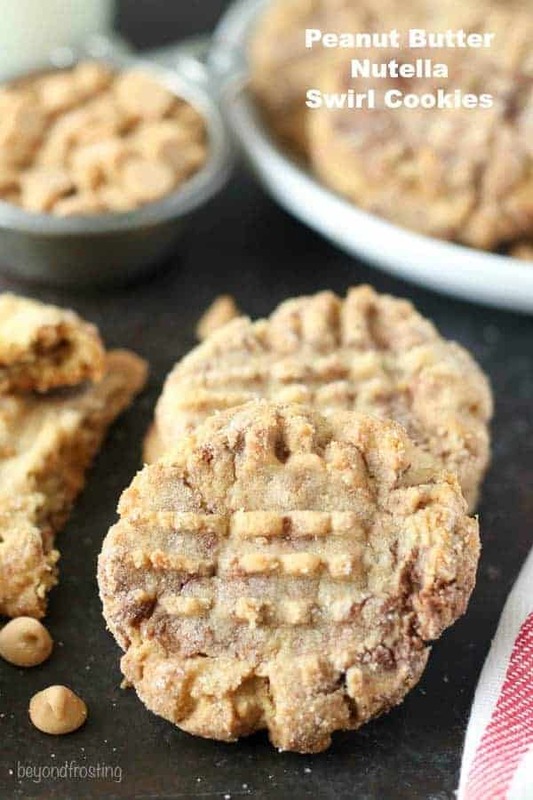 These Peanut Butter Nutella Swirl Cookies are not as dense as you might initially think. In fact, I was pleasantly surprised with their airy texture. It might be because there are both butter and shortening in this recipe. Anyway, once you have the peanut butter cookie dough ready, you add 6 heaping tablespoons of Nutella and swirl it into your cookie dough, that’s when the magic really happens. Be careful not to over mix, or you won’t have those pretty swirls of Nutella! 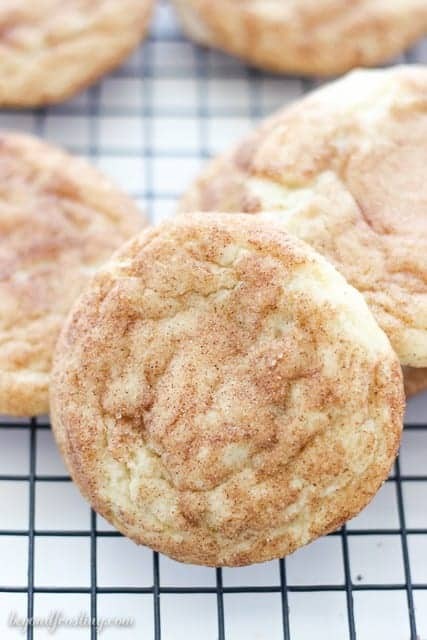 These cookies are also rolled in sugar which just makes them even better. 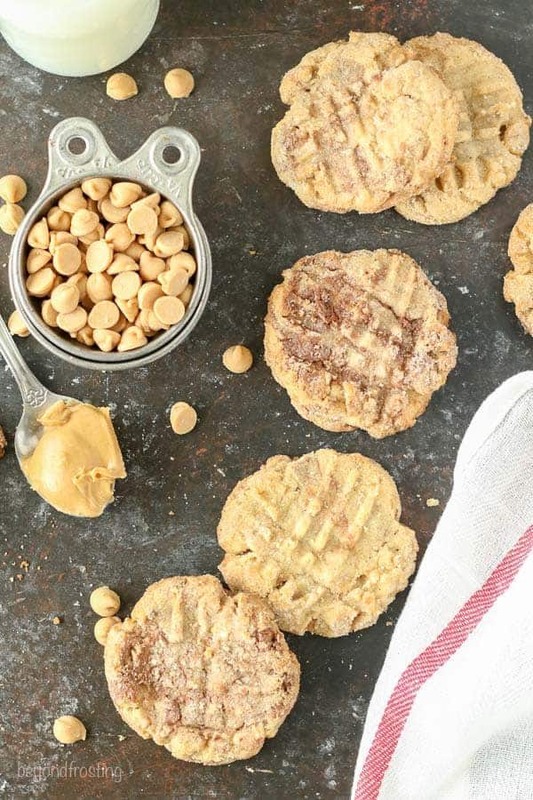 Oh, and did I mention these cookies are loaded with peanut butter chips? Yeah. If there’re two things I know about Sally, it’s that she loves peanut butter and she loves sprinkles. So, the extra peanut butter chips should come as no surprise. Side note, why don’t I have any other peanut butter cookies on my blog yet? There is a little planning involved in these cookies because they need some time to set in the fridge; it’s suggested for at least one hour. I happened to prepare the dough the night before I baked them. Whenever the dough needs to be chilled, I always use my cookie scoop and place them on a baking sheet in the refrigerator. That way I can pull them out as needed when I am ready to bake them. When a dough requires chilling, it can be very difficult to scoop them after the fact. I used a 1 tablespoon size cookie scoop, which actually results in a larger cookie than I originally thought it would. I also made a few 2 tablespoon size cookies because I always love a big cookie (although using the larger scoop will result in a fewer number of cookies overall). In Sally’s original recipe, she suggests that if the dough is chilled overnight, that you let it rest for about 30 minutes before scooping. However, since I pre-scooped these before refrigerating, I could actually bake them straight out of the fridge. This is a recipe I feel like I will make time and time again and I am even considering including them in my holiday cookie baskets. 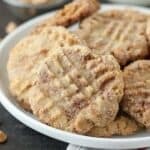 I LOVE peanut butter cookies but I don’t make them nearly as often as I should. If you love no-bake recipes, be sure to check out my cookbook, No-Bake Treats! Don’t miss a thing, subscribe to get recipes delivered to your inbox! In a medium-sized mixing bowl, combine the dry ingredients: flour, baking powder, baking soda and salt. Whisk to combine. In a large mixing bowl, beat the butter and shortening together until smooth, about one minute. Next add the brown sugar and ½ cup of the granulated sugar and beat on medium-high speed until creamed, about 2 minutes. Scrape down the sides of the bowl as needed. Next add the peanut butter and vanilla extract and continue beating on medium-high speed until combined. Slowly add the dry ingredients to the wet ingredients and mix on low speed until combined. Next add the peanut butter chips and mix until combined. Finally, add the Nutella and mix by hand with a spatula to swirl into the dough. If you mix for too long, you will not have the swirls in the cookies. Cover and chill the dough in the refrigerator for at least 1 hour (and up to 4 days). OR Pre-scoop (1 tablespoon) your cookie dough and refrigerate as directed above. If you are not pre-scooping the dough (1 tablespoon size), and you’re refrigerating for longer than 3 hours, allow the dough to sit at room temperature for about 20-30 minutes before scooping as the dough will be quite hard. Preheat the oven to 350°F. Line a baking sheet with parchment paper or a silicone baking mat. Set aside. Roll each ball of dough in the remaining ½ cup of granulated sugar. Place the dough 3 inches apart on a baking sheet. Press a fork into the tops to create the crisscross pattern. Bake for 12-13 minutes until lightly browned on the bottom. The centers will look soft. Remove them from the oven and allow the cookies to cool on the baking sheet for 5 minutes before transferring to a wire rack to cool completely. Cookies will stay fresh in an airtight container at room temperature for up to 1 week. 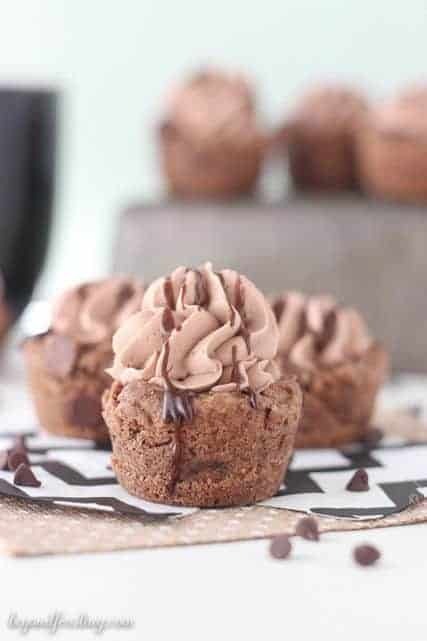 Did you make this recipe or another recipe from Beyond Frosting?